Daylight is getting shorter; nights are getting cooler. Sure, summer has officially ended, but more importantly, fall wildfire season is here! And officials with the Virginia Department of Forestry want to keep you and your family safe from the ravages of wildfire. Officials with the Virginia Department of Forestry announced that demand for its loblolly pine seedlings is very high this season, and the agency anticipates that some or all families will sell out early. 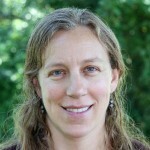 A 14-year-veteran of natural resources conservation projects will continue that work in Virginia. Virginians can help preserve tree species by collecting acorns and seeds from 12 species and delivering them to the nearest office of the Virginia Department of Forestry (VDOF). Acorns and seeds must be received by October 10. Homeowners in six Northern Virginia counties have kept the phone lines buzzing at Virginia Department of Forestry and Virginia Cooperative Extension offices expressing concern about defoliated white oak trees. Visitors to the Conway Robinson State Forest can add a high-tech dimension to their outdoor experience. Informational signs on the forest have been updated to include QR codes. The 19th annual Waynesboro Plant Health Care for Urban Trees Workshop will take place September 12th, and registration for the popular workshop is now open. Bobwhite quail populations have plummeted in recent years due to loss of appropriate habitat, which includes fallow lands, field and forest edges, and brushy, weedy areas. As wildfire activity increases in the Western United States, firefighters from the Virginia Department of Forestry (VDOF) are assisting with suppression efforts in Oregon. Officials with the Virginia Department of Forestry have unveiled a new web portal that will help homeowners and communities determine their wildfire risk – and take measures to mitigate potential hazards. While legal fireworks and sparklers are a popular part of July 4th celebrations, in most areas of Virginia they could become a cause of wildfires this year. Using a Virginia Department of Forestry tree seedling, a team of scientists from across the nation has decoded the genome of a loblolly pine tree. With 22 Billion base pairs, this is the largest genome ever sequenced (in comparison, the human genome has 3 Billion base pairs). Through its Volunteer Fire Assistance (VFA) program, the Virginia Department of Forestry (VDOF) awarded more than $199,000 in grants to 140 volunteer fire departments (VFDs) across the Commonwealth. 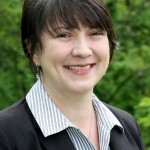 Bettina K. Ring began work this week as only the seventh State Forester of Virginia in the 100-year-history of the Virginia Department of Forestry. She was appointed by Gov. Terry McAuliffe just four weeks ago. 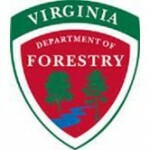 To celebrate its centennial, the Virginia Department of Forestry has a number of events and activities scheduled throughout the year and across the Commonwealth. The Commonwealth’s 4 p.m. Burning Law goes into effect Feb. 15th – the start of spring fire season in Virginia. The law prohibits burning before 4 p.m. each day until April 30th if the fire is in, or within 300 feet of, woodland, brushland or fields containing dry grass or other flammable materials. As smoke rises from chimneys, officials with the Virginia Department of Forestry are on the lookout for smoke from other sources. Household fires produce leftover ash; when improperly disposed of, this ash can cause a wildland fire. Many reports from various parts of the Commonwealth indicate that the acorn crop this fall is very light, according to officials at the Virginia Department of Forestry (VDOF) and the Virginia Department of Game and Inland Fisheries (DGIF). The improper disposal of ashes from fireplaces and woodstoves can cause wildland and structural fires. Wood ashes retain enough heat to ignite other combustible materials for several days. High winds can uncover still-hot embers and start a wildfire. ﻿Madison-based Plow and Hearth has donated 136,000 tree seedlings for planting in spring 2014 around the Commonwealth of Virginia. As cooler temperatures arrive and the leaves on the trees begin to change color, visitors come from near and far to admire Virginia’s autumn splendor.